We don't pack hundreds of clients on a server, we keep an extremely low ratio to ensure our servers are running fast all the time. 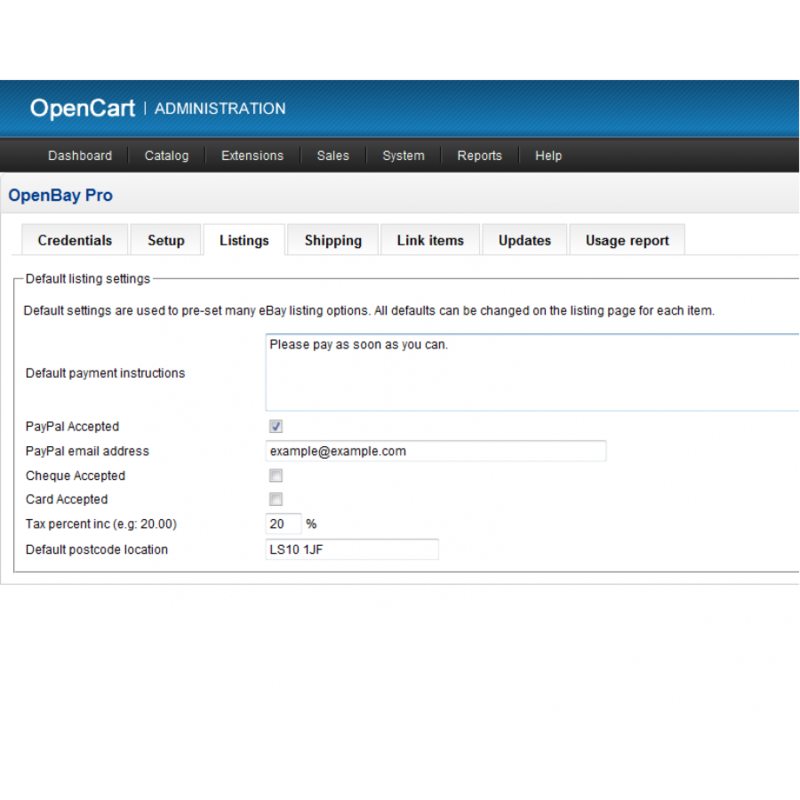 Our staff are OpenCart & eBay proffessionals. 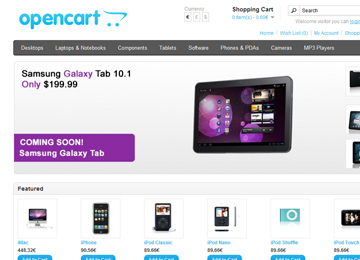 Ecommerce is in our blood! When you needs some help, we promise we will be here. Our Leeds based office is a very busy place, but we don't have foreign call centres and we only hire the very best staff. We're also up for a Xbox COD match anytime! 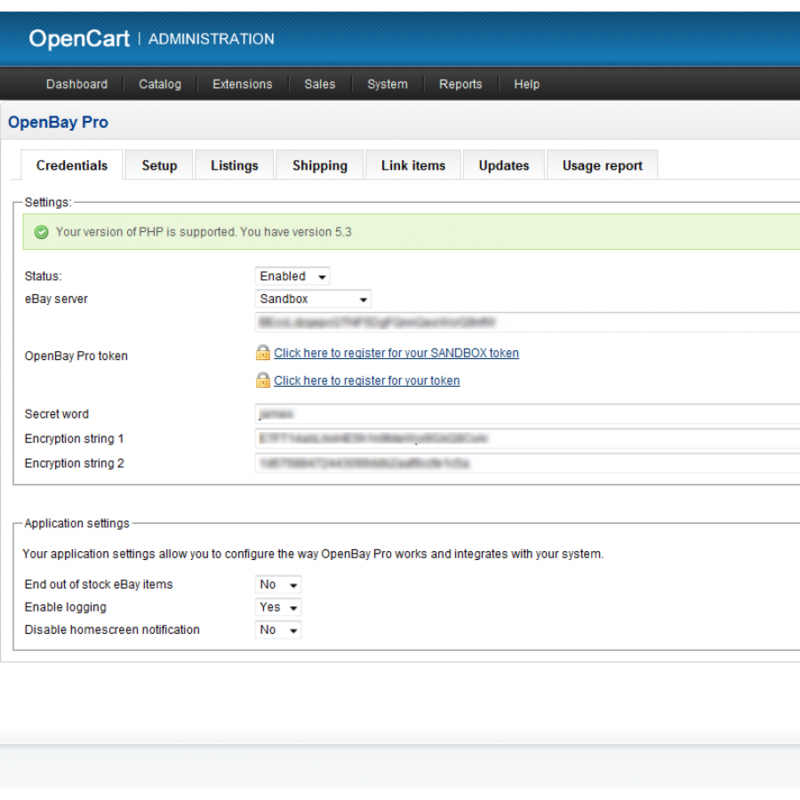 OpenBay Pro is an eBay certified adaptor for OpenCart, allowing sellers to manage both eBay and an e-commerce store within a single place. 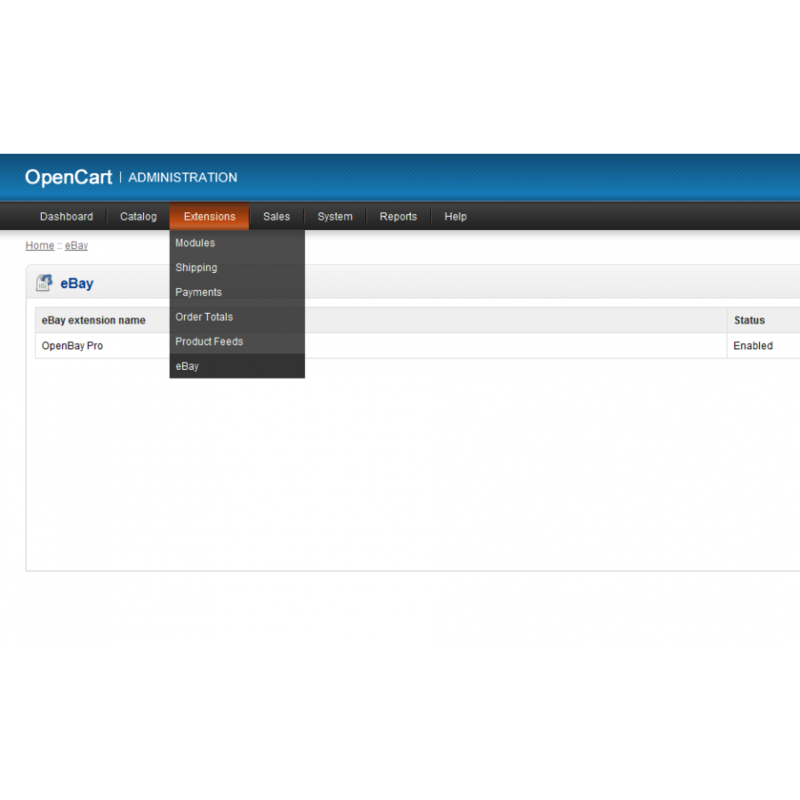 Designed, built and supported by eCommerce HQ and their own internal UK support team - OpenBay Pro is at the cutting edge of eBay integration. Constant (free) updates, visit our support site for friendly support our staff keep you up to date and running smoothly even through busy periods. Wherever your item sells your stock levels remain the same. Sell out on your store then your eBay listing is ended. No more apology emails! Our listing feature saves you time creating new listings. Listing defaults allow you to set your most common settings for every listing. 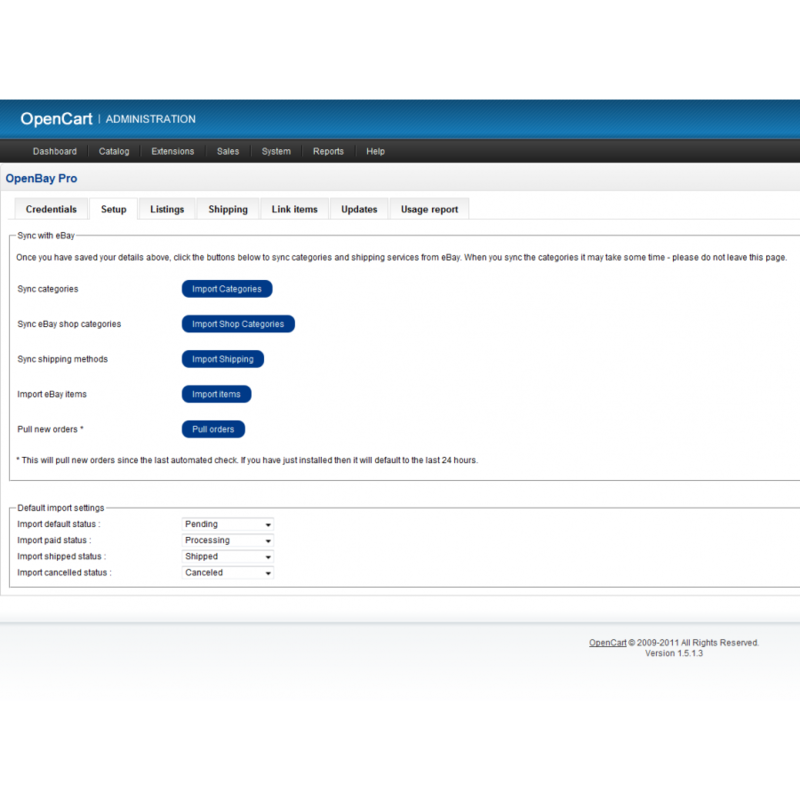 One place to manage orders and automated client emails create a much better experience. Despatch times improve & buyers are happier! eBay seller without your own web store? It's very common for eBay sellers to not have their own website, mostly because of the cost and headache of running two operations. Its surprising how many customers will Google your eBay name, just to check out your website. Having your own website can gain customer confidence, showing them you have the time to offer your own professional setup outside of eBay. Increase your customers returning to buy, capture newsletter subscribers and offer exclusive prices without the overhead of additional marketplace fees. Our package is designed to look after you for a minimal cost, increase your productivity and all you to concentrate on other important areas of your business. Do you sell on your website but not on eBay? 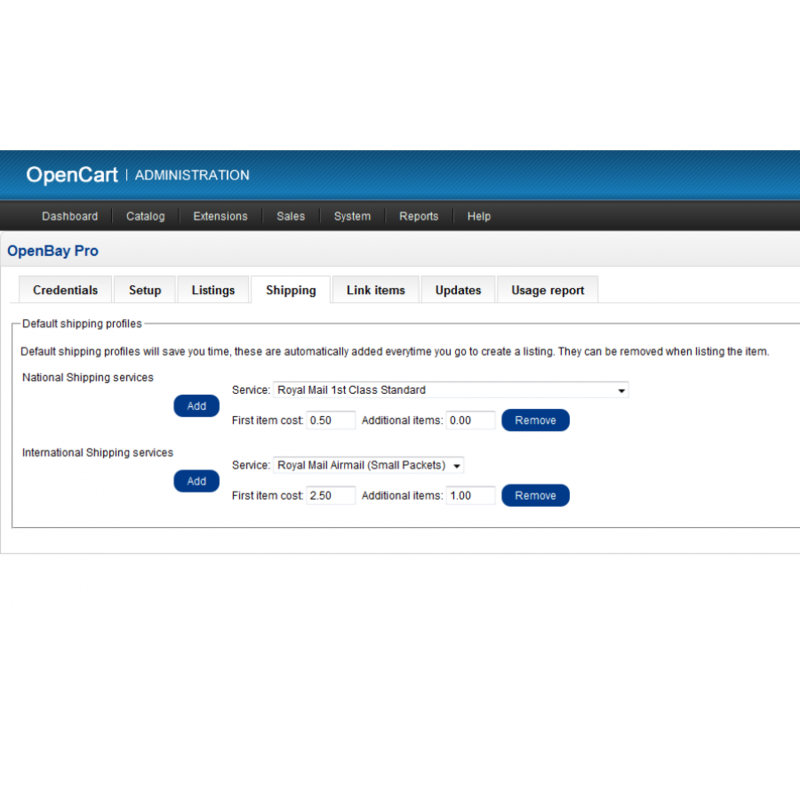 Even if you have your own OpenCart store or another ecommerce solution - the combination of our package allows you to make a smart move to one of the best platforms available and be able to sell on eBay when your ready. 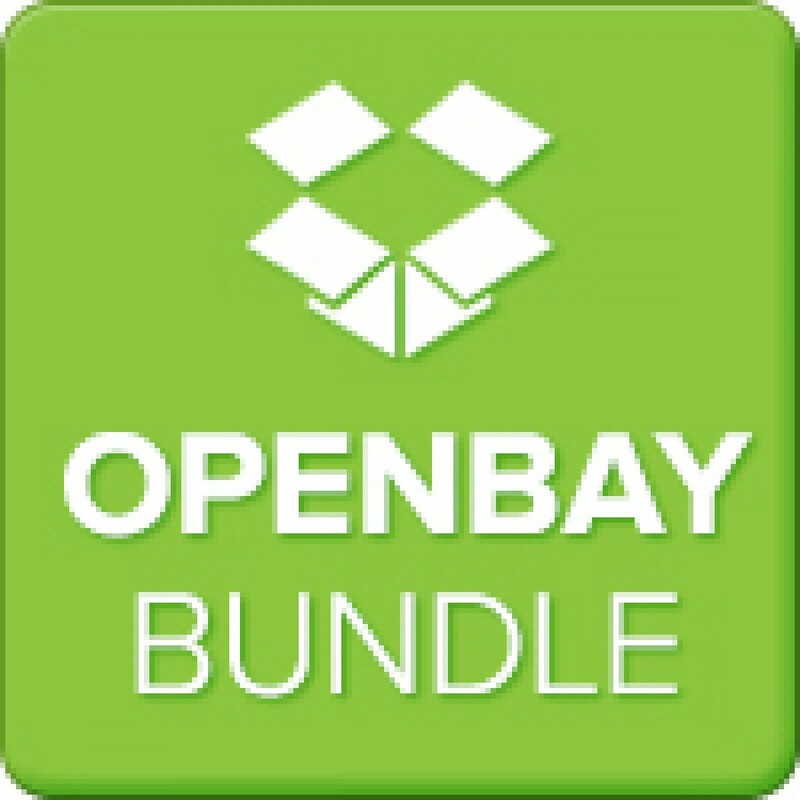 Many OpenBay users only sold a few eBay items initially, testing the water. Once everyone realized how quick and easy it is to list an item and how effective stock control is, eBay became a massive part of their income. 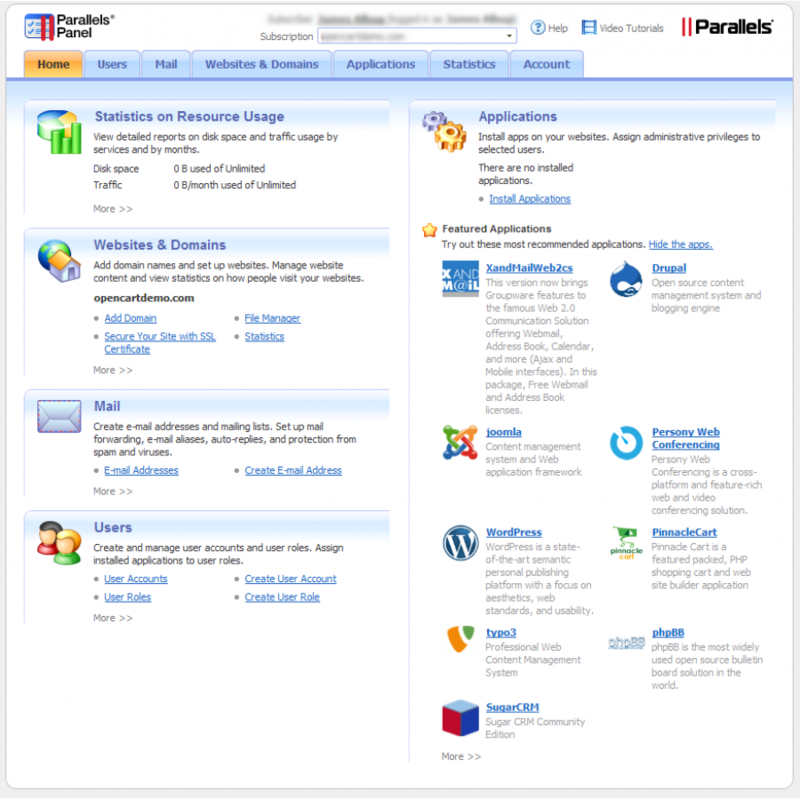 You get a complete professional e-commerce solution, ready to go. As much as we would like to do everything, there is a few requirements! We can help arrange these via telephone or email support. 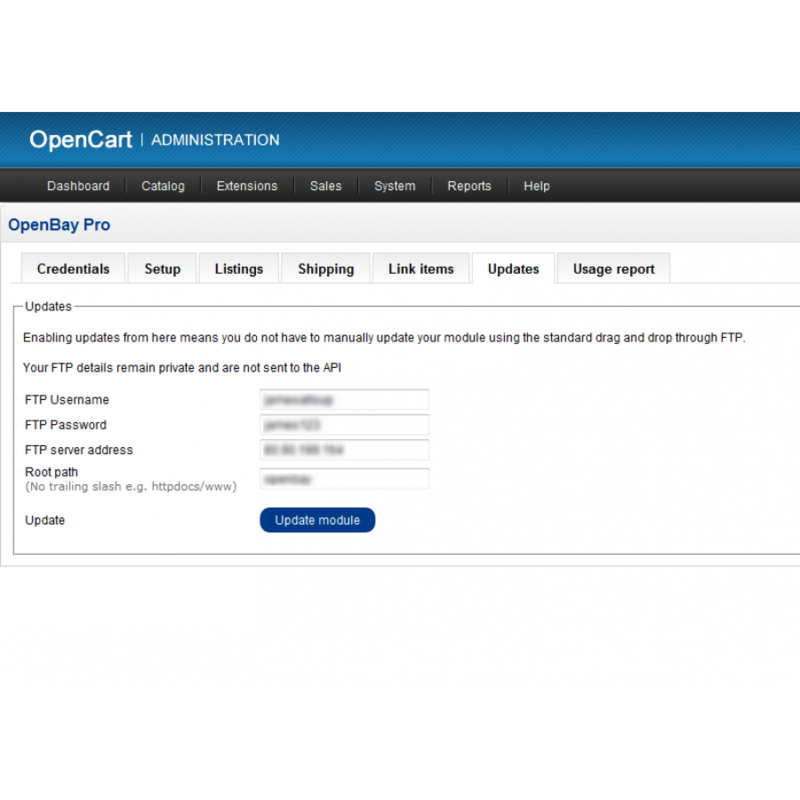 You will need to point your domain to our IP address, a very simple task. You must be an eBay seller and able to sell fixed price items.